More than a quarter out of 39k+ software developers surveyed were able to write code before they turned 16! 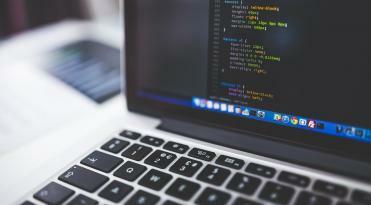 The culture of early coding is believed to promote tech innovation, thus, policymakers try to facilitate early exposure to programming on a national level. The U.K. is in the lead when it comes to early software development education with Australia running a close second. Ukraine is also featured on the list with 5.6% early birds–developers who started coding between 5 and 10. No wonder Ukraine is becoming one of the biggest tech hubs in Eastern Europe and has already been ranked 11th among countries with the best software developers. There are 70+ private tech schools and dozens of Universities with tech faculties that annually produce 35k+ highly qualified software developers in Ukraine. How Do They Become Developers, Actually? 69.4% of software developers learned to program with the help of public education. Yet, in this age of tech innovations, this is not enough–software developers should always keep up to speed with the latest trends, and most of them do. 73.7% of software developers surveyed admit that they are at least partially self-taught. By and large, software developers know 4 programming languages and still want to learn 4 more. But the extent of desire to learn new programming languages varies by age: developers aged 18-24 want to learn 6 more languages, developers aged 35+ years are eager to add 3 more programming languages to their knowledge base. C# developers get a lot of play in the governmental field. It’s obvious that developers should mark React as a high-priority skill to learn, but for employers, there’s not a single way out, they can either wait until the software development market gets filled with React.js developers or broaden the horizon of their search and start looking for offshore developers. What Do Software Developers Plan to Learn Next? In most cases, developers are eager to learn programming languages used by tech giants. When Twitter moved away from Ruby on Rails to Scala, considering the latter more efficient, the number of software engineers willing to become Scala developers suddenly increased. Similarly, the number of Swift developers has increased after Apple decided to discard Objective-C in favor of Swift. Go developers take the lead–Google’s Go offers support and high accumulation. Due to its simplicity and the possibilities it provides, Python is one of the most popular programming languages and tops the list among all age groups. Python is known for its simplicity, readability, and vast possibilities of scientific libraries. It’s also growing as a part of introductory computer science courses. How Do Executives Assess Candidates? According to 7k+ business owners, resumes remain the most widespread way to assess and recruit candidates. 81% of recruiters screen resumes as the first step in the hiring process. Yet, 45% of the surveyed software developers admit their resumes don’t reflect their skills appropriately. Resumes fail to provide complete information about tech skills of the candidate, thus problem-solving tasks come in next on the list as the second most frequent assessment tools. How Can Employers Keep Developers Satisfied with Their Job? Developers’ preferences may vary from country to country, but generally, the HackerRank research found that the majority of software engineers aim for a good work-life balance. In their job descriptions, hiring managers often focus on perks, mission statement, and tech stack, while in fact, they should pay more attention to flexible work hours, interesting tasks, and possibilities for growth. Software developers in Ukraine, for instance, value the possibility to work with compelling challenges the most, giving second place to professional growth, the third–to work-life balance. Ukrainian developers put compensation in fourth place, which explains reasonable offshore software development rates in Eastern Europe. According to the respondents, a flexible work schedule is the best way to improve work-life balance. Remote working takes second place, proving that with all the technologies and tools currently available, you can cooperate with software developers regardless of their geographical location and experience no communication difficulties. The 2018 HackerRank report isn’t the first time this tech community produces insightful ratings—their 2016 study determines which countries have the best developers and is based on 1.5M software engineers ranked. As a company that helps clients from all over the world build dedicated software development teams in Ukraine, Daxx was delighted to learn that Ukraine takes 11th place among the countries with the best software developers. The top 5 positions take China, Russia, Poland, Switzerland, and Hungary. Though the U.S. and India are the largest producers of software developers, they don’t enter the top half. The research presented by HackerRank is a projection into the future, as it allows both developers and business owners to understand the dynamic nature of the tech market. The percent of developers who start coding behind the school desk has reached almost 11% in the U.K. Coding enriches computational thinking and it is likely that the number of developers who start to code early will continue increasing. Resumes and CS diplomas lose their value, as these don’t showcase the real knowledge or skills. Instead, execs start to focus on experience and prefer to check candidates’ skills with test assignments. 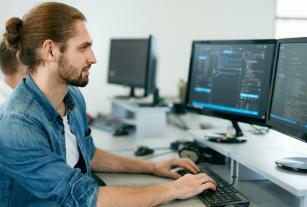 Developers prefer flexibility to financial perks–the workplace of future won’t be bound to a geographical location, you’re free to cooperate with developers from all over the world and at the same time solve the issue of the local tech talent shortage.